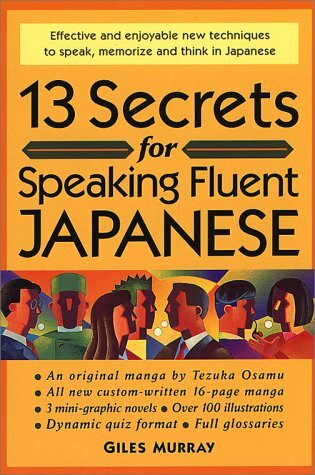 Описание: 13 Secrets for Speaking Fluent Japanese presents tested shortcuts for Japanese language acquisition. Identifying two groups of people who actively and effectively study Japanese to the point of fluency --successful non-native learners and Japanese children --Giles Murray has collected from both groups the most rewarding and universal techniques which can be put to immediate use by both beginner and advanced students of Japanese. This book is designed for people who have tried orthodox textbooks and failed, people who know a little Japanese but don't have the necessary time or motivation to make the transition to more serious textbooks, and people seeking to increase fluency using ability already acquired. It introduces new strategies for thinking, speaking and memorizing Japanese quickly, efficiently and independently. Used in tandem with a mainstream textbook, these strategies will enable any student to apply what they have learned in the classroom to real-life situations, and to speak without hesitation in natural and fluent Japanese. With lively and entertaining commentaries, striking illustrations, two Japanese manga --including a six-page extract from Osamu Tezuka's famous Blackjack series--brainteasing puzzles, and genuinely useful example sentences, 13 Secrets offers a unique and exciting alternative to all students of Japanese.